A California Sister butterfly rests in pink Calla Lilies. 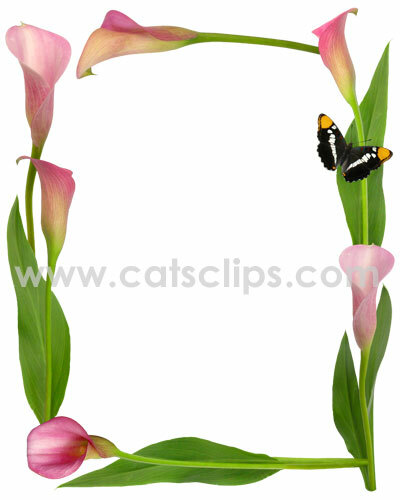 Use this summertime border to frame a flyer, card or invitation. PNG with a transparent background.